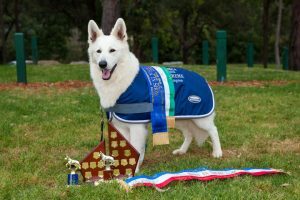 The White Swiss Shepherd Dog Club of Australia Incorporated (WSSDCA) was established at the turn of the millennium in the year 2000, heralding a fresh start and a future for the white coated shepherd dogs in Australia that were deemed no longer registrable within the German Shepherd breed or ANKC. 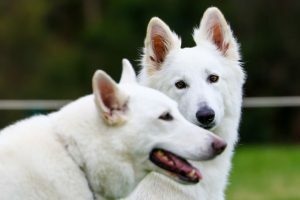 Our name back then was the White Shepherd Association of Australia, which in late 2002 developed into the White Swiss Shepherd Dog Club of Australia Inc., the name change reflecting and celebrating the FCI’s acceptance of White German Shepherds and local unregistered white Shepherds under a united breed name the White Swiss Shepherd. 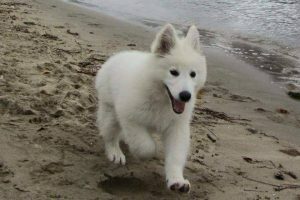 Whilst it is disappointing that at present the FCI White Swiss Shepherd and Australian White Swiss Shepherd remain separated in our country, the WSSDCA is proud to independently operate offering no such registration discrimination to breeders and owners. 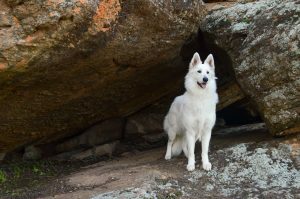 Learn more about the health and history of the White Swiss Shepherd Dog. Find out more about our National Shows and previous year's results. 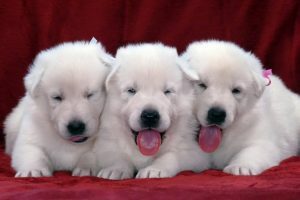 Browse this section to find out everything you need to know to buy a happy and healthy new puppy. Whether you are a current member or wanting to join the club, you'll find the information you need here. 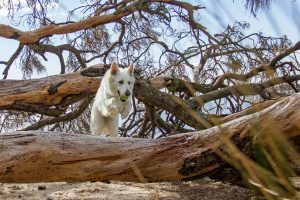 Find a list of all current financial Stud Dogs approved for breeding. Can't find what you're looking for? Contact us or browse some FAQs to find the answers.